Our May meeting was a little bit disappointing. (I mentioned last time that I’ve been feeling a little bit of ups and downs with the council this year.) First, the post office reported that their Passport Fair was kind of a bust. Apparently, they didn’t have more traffic than most other Saturdays, but things were spread out over the extended hours. This may have been slightly more convenient for customers. Robert, the council co-chair, expressed his frustration that he didn’t receive any advertising about the fair until 5:30PM the night of the fair. The post office representatives insisted that the postcards were all sent out to all Oak Parkers the Wednesday before the fair, but only one or two council members actually received any advertising. Also, the weekend of the Fair was a busy weekend in Oak Park. We suggested that the post office look at the public calendar before scheduling the next fair. After months of discussion and planning for Oak Park’s Day in Our Village, the post office was unable to secure a booth at the fair because they sent in their application too late and all of the spaces were filled. Since we had been discussing Day in Our Village since March, it felt like a big let-down that the ball was dropped on this. The main job of our council is to help improve postal relations with the public and Day in Our Village would have been a great community event to participate in. The focus turned to the mobile post office visiting the Oak Park Farmers Market and we decided the second or third week of July would be best. The Postmaster planned to look into securing the post office on wheels for the market. We eagerly discussed the Oak Park Post Office building’s 80th anniversary. We talked about having past Postmasters there, getting in touch with the Oak Park Historical Society to help with a display of artifacts and to ask the Oak Leaves (local newspaper) to republish their archives about the post office. A council member brought up the facilities at the River Forest Post Office. She noticed that the handicap parking sign was upside down, there were no clear markings on the pavement for handicap parking, the trash can was overflowing, and the weeds and grass were overgrown. We learned that River Forest shares a custodian with the Oak Park post office, making time tight for managing all of the properties. And, postal employees cannot spread any chemical based weed treatment (per their union contract), so that part of the landscaping is outsourced to a professional company. The Postmaster said he would look into new striping in the parking lot. In other maintenance news, over the next year, the post office will be refurbishing sixty-nine mailboxes in Oak Park. Our discussion moved from customer issues to mail carrier delivery issues. According to the post office’s records, summer weather brings a new challenge for mail carriers—dog bites. Apparently, Chicago is #3 in the country for the most dog bites. So the post office sends out little postcards reminding people to keep their dogs away from the letter carriers. And finally, we talked about package theft and the new challenge the post office has with leaving Amazon Prime boxes on people’s porches. Because Amazon deliveries are promised 2-day deliveries, the letter carriers have to balance finding a place on the customer’s porch where the package is out of plain sight, or leaving a redelivery card and risking an upset customer. It seems there isn’t a great solution for this. I’ll be back tomorrow with more exciting notes from our June meeting. In the meantime, anything going on with your mail carrier? Or in your post office? I hope, for the sake of community, this committee won’t go wayside. I know you have devoted a lot of your time in this and I hope this is going to be an on-going thing! When my husband delivered mail he said that the Amazon deliveries were the worst and were expected to take priority over all else. I hope you don’t get too disheartened about the slow progress of what you’re trying to do. It’s very commendable! Thanks, Cindy. 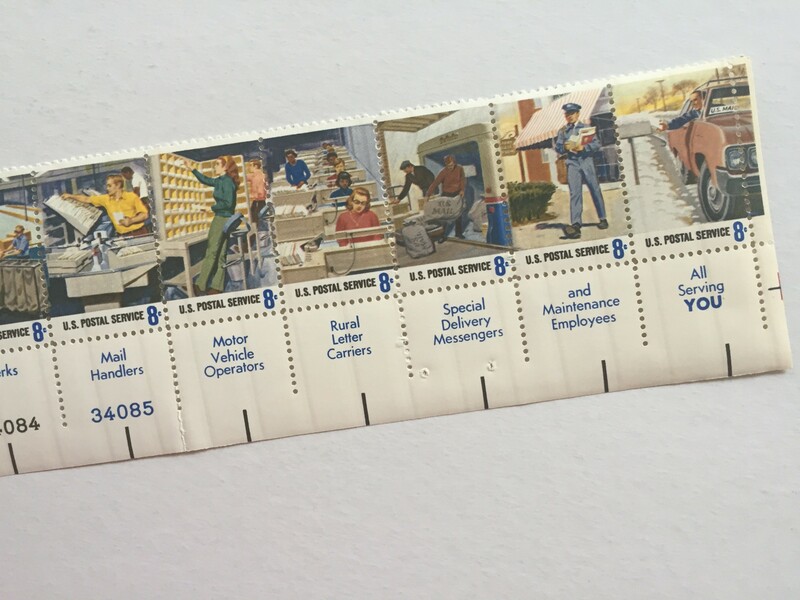 Yes…the post office sees their partnership with Amazon as a key to longevity. Did he feel like they were the worst because people were chomping at the bit for their package or because dealing with packages on his mail truck was such a pain?